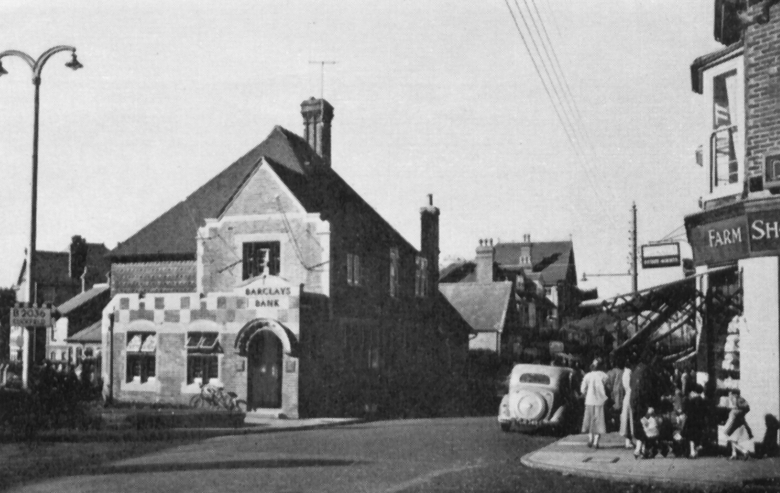 The Watermill Public House and Waugh's the Chemist (which is now a vet's), World's End, Burgess Hill. From a DVP Co. postcard coded BT 1384. (1970s/1980s). World's End Recreation Ground, Burgess Hill. From a DVP Co. postcard coded BT 1385. (1970s/1980s). 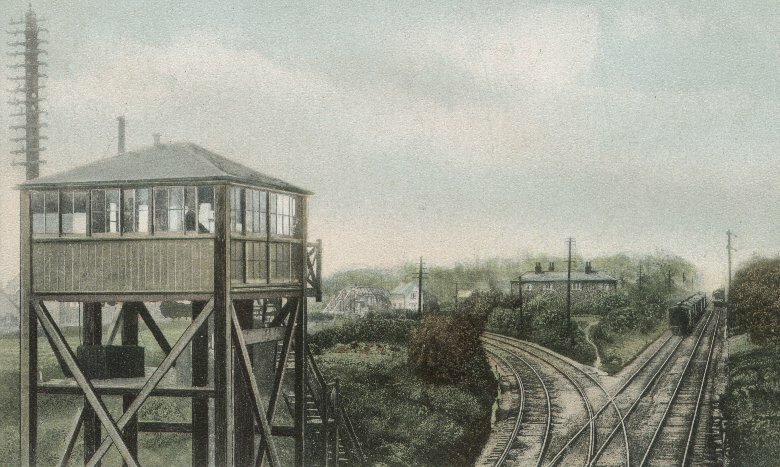 Keymer Junction, Burgess Hill, given as 'Wivelsfield Junction' on the postcard. The green footbridge on Junction Road can just be seen. Both that and the high-tower signal box have gone. 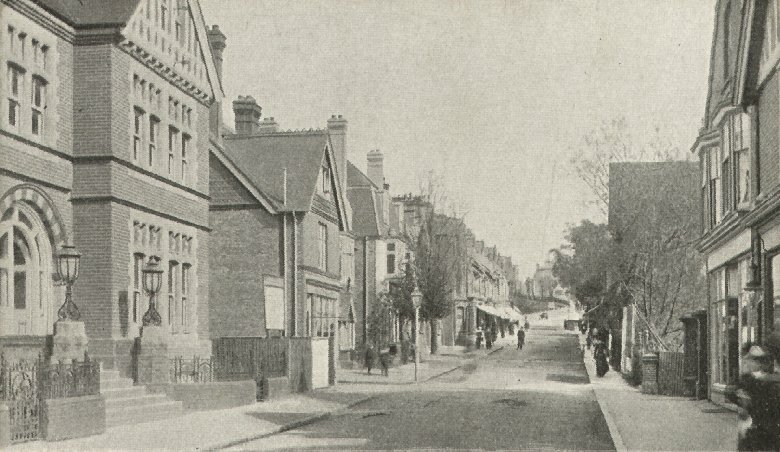 An A. H. Homewood postcard posted in September 1905 from Upper Dicker to Eastbourne. 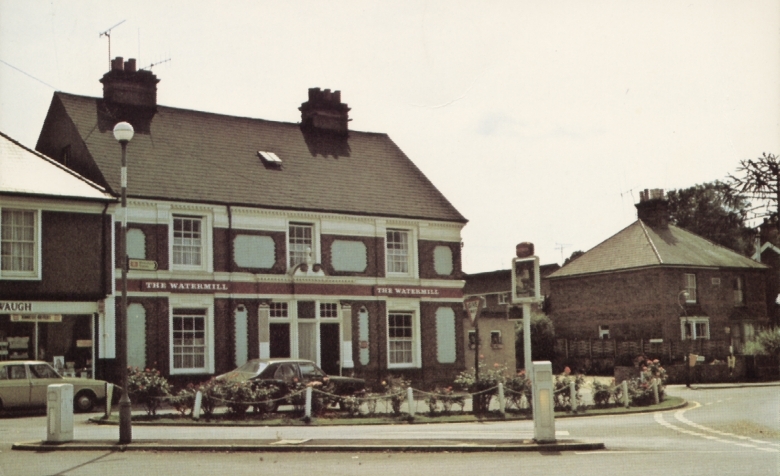 NW: Believed to be Wynnstay and Tudor House, facing Hoadley's. 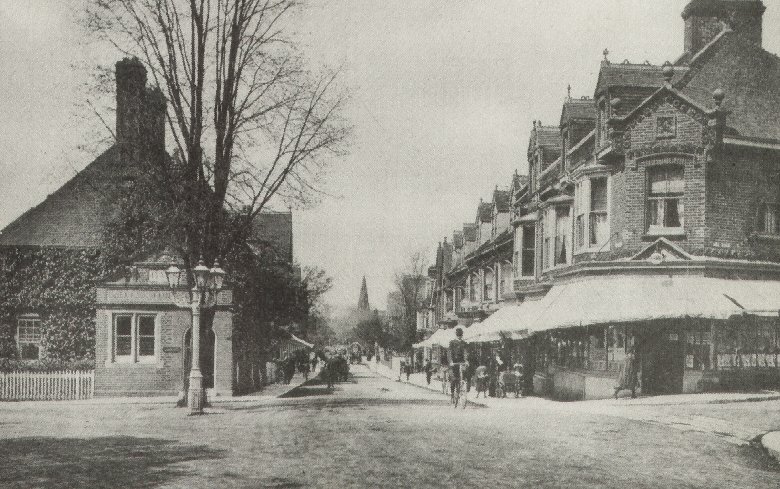 NE: Looking down Station Road to Church Road. SW: At the top of Station Road before the railway bridge. SE: Barclays Bank Corner. Centre: St. John's Church. Scanned from an unused postcard handstamped 'H. 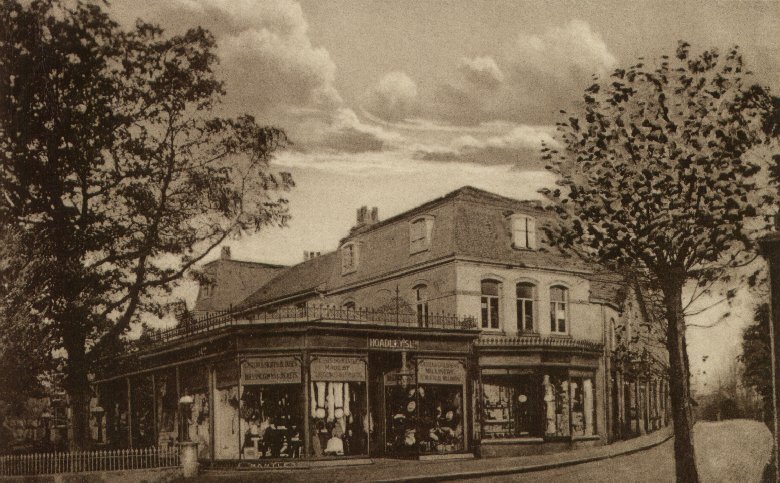 J. Combridge, Stationer, Burgess Hill'. 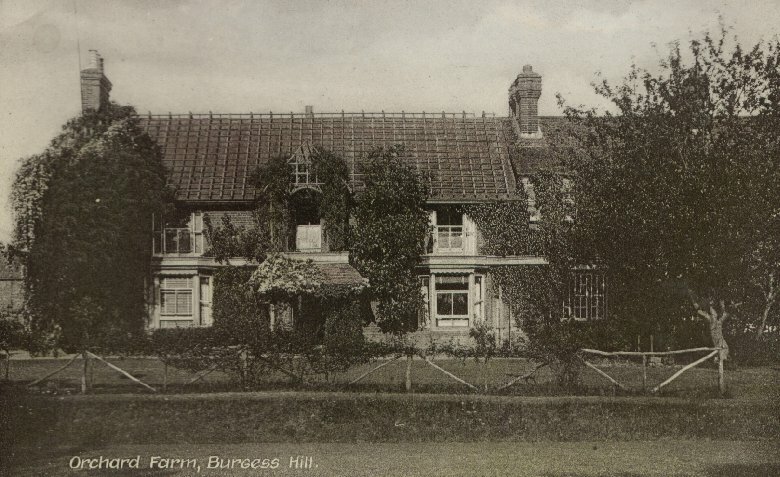 The South Downs Hydro and Nature Cure Establishment, Burgess Hill. 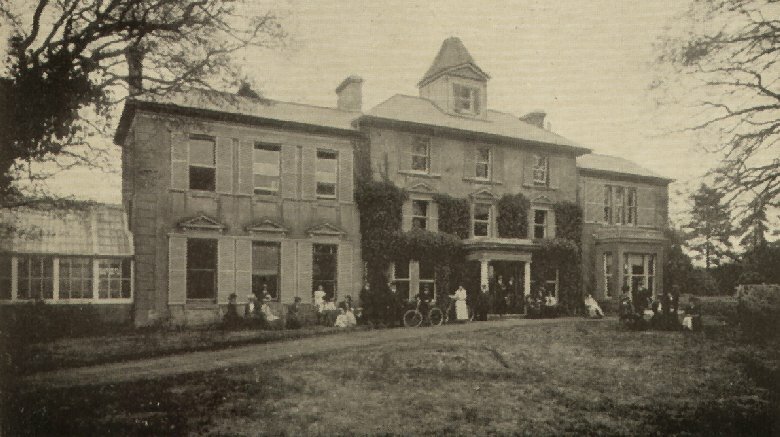 The building was also known as the Franklands Park Hotel and Franklands Court. Letters held in the manuscripts collection of Glasgow University Library record the death of an Eliza Grier Paterson at the South Downs Hydro in 1910. A 'Burgess Hill Hydro' appears on a 1909 map situated where Franklands Way now is. The image comes from an unused postcard. 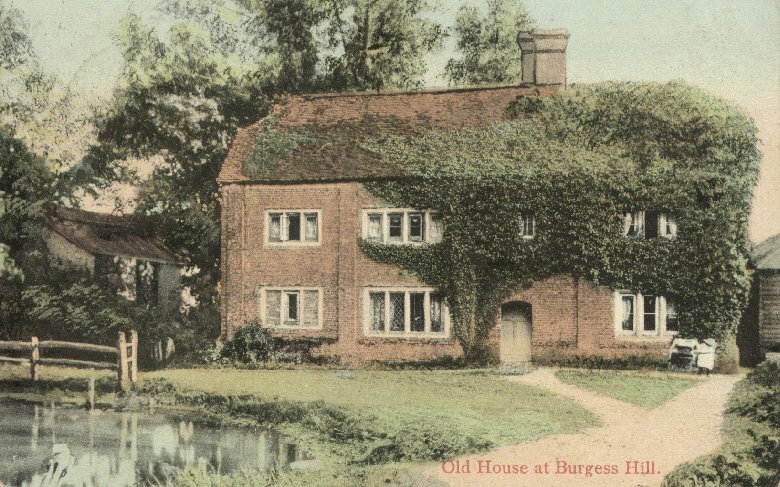 Old House, Burgess Hill. Postcard posted in June 1906 to Ryde, I.O.W. 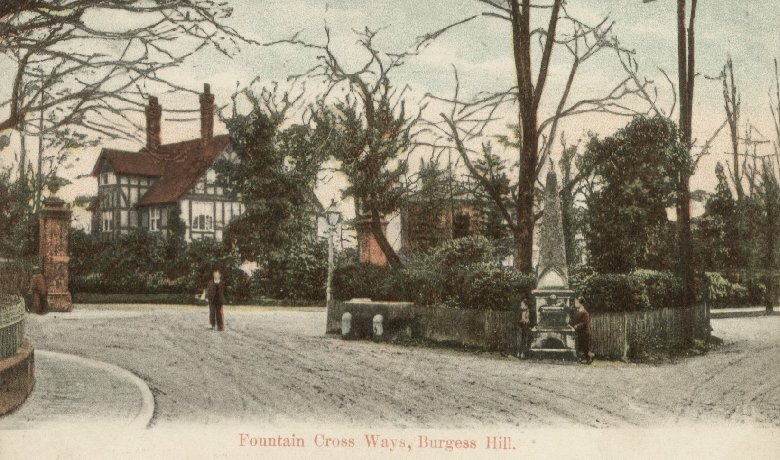 Postcard published by A. H. Homewood, Burgess Hill. Orchard Farm, Burgess Hill. Sent from Annie in Burgess Hill to her mum, Mrs. Sharp, in Brighton (September 1924). 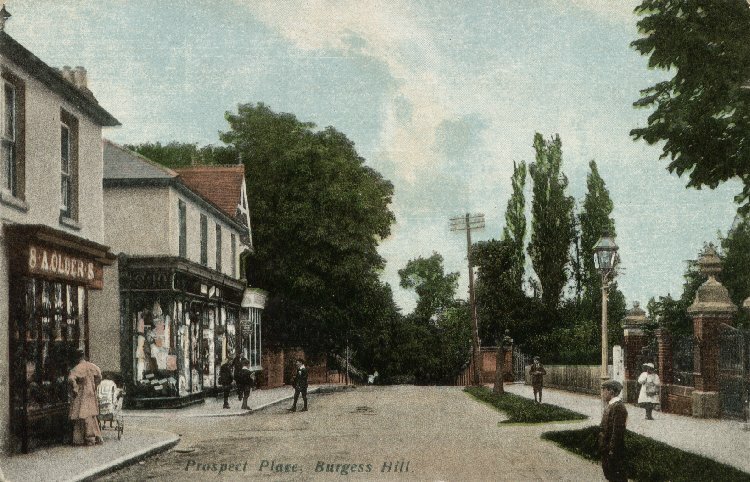 Prospect Place, Burgess Hill (at the top of Junction Road). 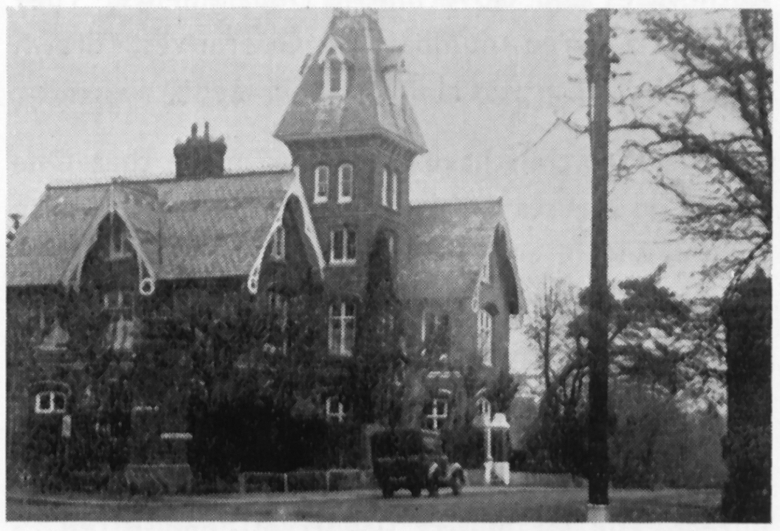 Tower House Hotel, Silverdale Road, Burgess Hill (c.1959). 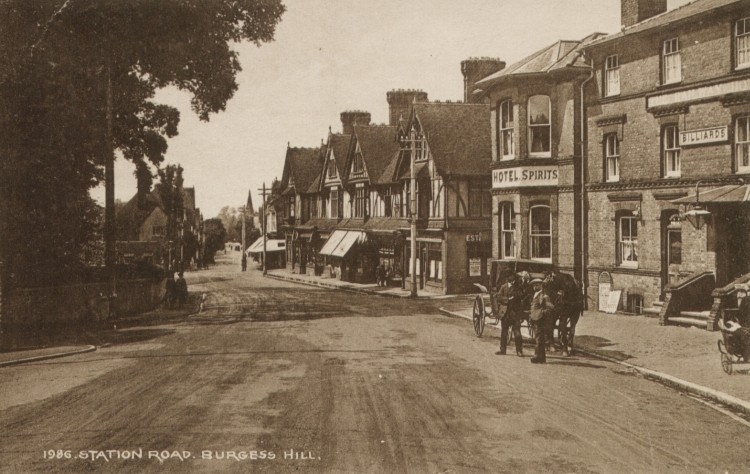 An A. H. Homewood postcard posted from Burgess Hill to Southall, Middlesex in 1922. 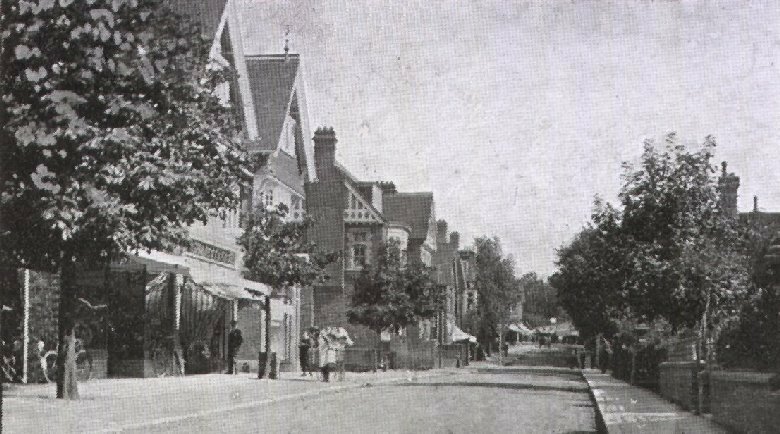 Hoadley's Corner, Burgess Hill as it was in about 1905. 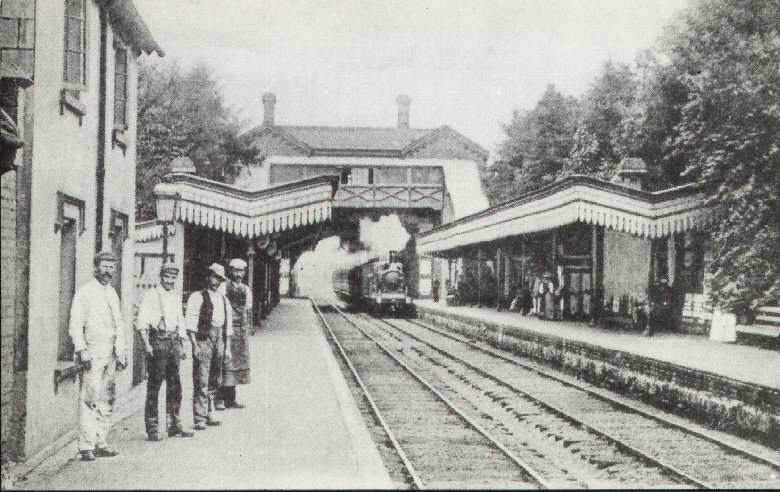 Burgess Hill Station in the Edwardian era. Station Road, Burgess Hill from the railway bridge. This postcard was posted in 1925. 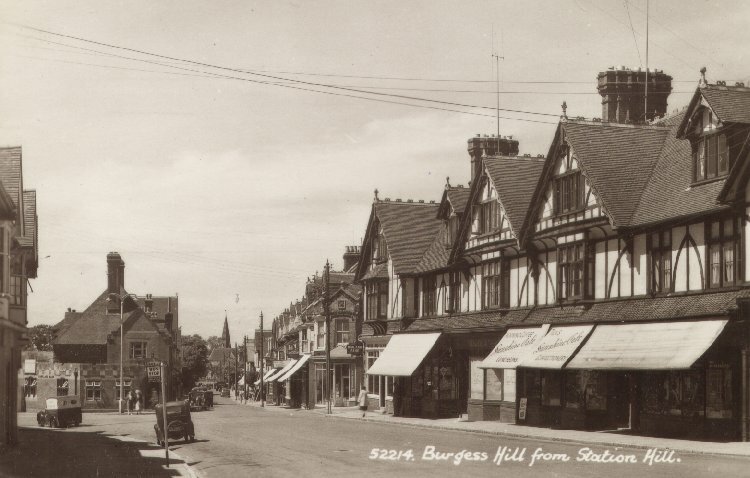 Burgess Hill from Station Hill (looking down towards Barclays Bank and Church Road). An E. A. Sweetman (Tunbridge Wells) postcard posted from Hassocks to Newport, IOW in October 1956. Agent' and 'Eugene Wireless Machine[--]'. Note the VHF TV aerials. 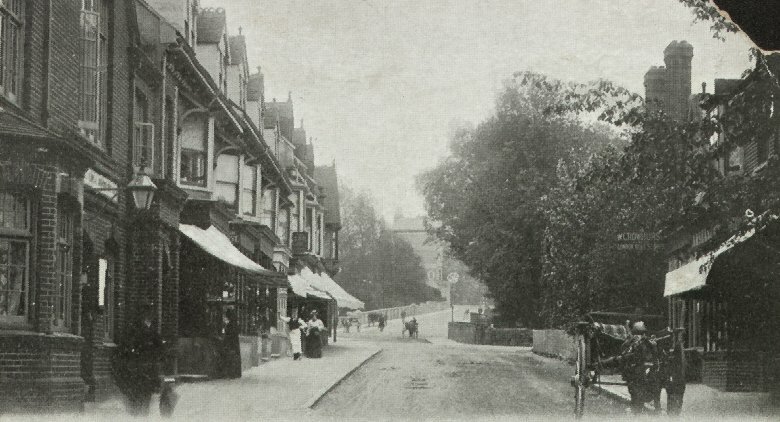 Looking down Church Road, Burgess Hill, c.1902. Barclays to the left, Terry's Corner (1887) to the right. And again, photographed around 1959. The shop sign on the right reads 'W. Crowhurst'. 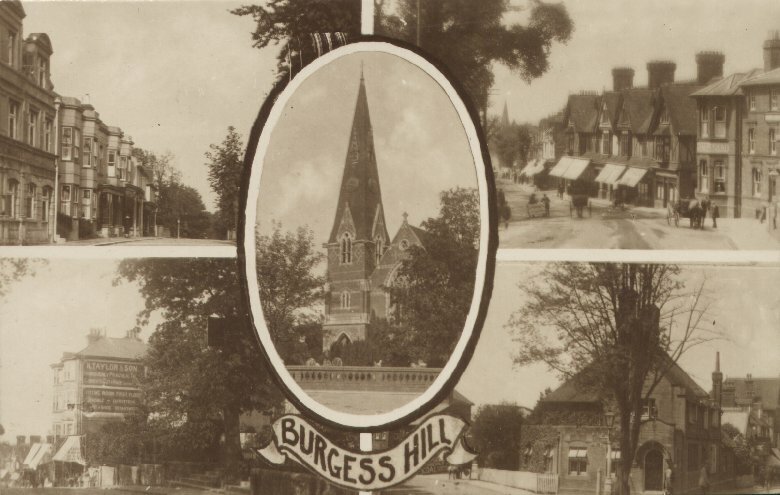 An unused postcard published by A. H. Homewood, Burgess Hill. A postcard posted in 1903.